Ellis Hall is an accomplished and prolific performer, multi-instrumentalist and vocalist with an impressive five-octave range. In a career spanning over four decades, Hall has solidified a reputation for soul-searing Rhythm & Blues, and has electrified audiences throughout the world. Hall has also made a mark as an incredible songwriter, arranger, and producer. Diagnosed with glaucoma as an infant, Hall lost sight in his right eye early on. Doctors informed his parents that Ellis would eventually lose sight his left eye as well. In an effort to afford Ellis the best possible education and care, his parents made the decision to move the family to Boston so Ellis could attend the Perkins School for the Blind. While at Perkins, he mastered the bass, guitar, keyboards, piano, and drums. As his sight continued to deteriorate, Hall readied himself for the inevitable by practicing his instruments in the dark. 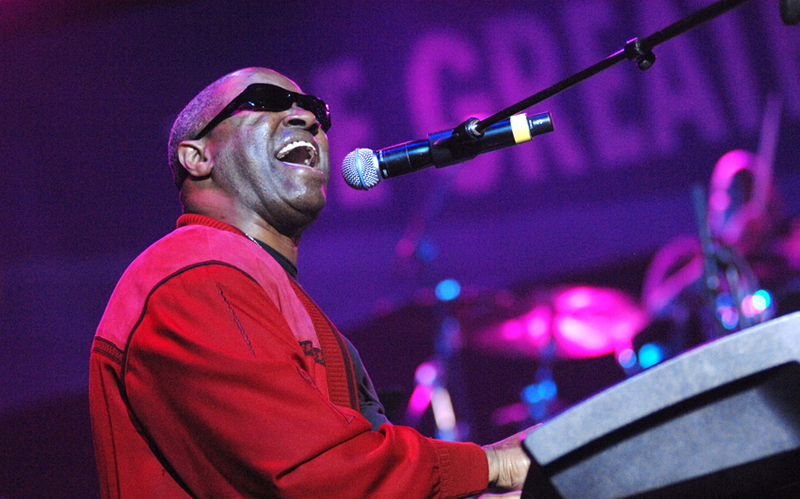 Hall has also performed with a multitude of musical icons, including Stevie Wonder, George Benson, Herbie Hancock, Earth Wind & Fire, George Duke, Michael McDonald, Brett Michaels, Billy Preston, James Taylor, John Mayer and his musical Mentor, Ray Charles. He has also worked with some of the world’s most well-known conductors, including Steven Reineke of the New York Philharmonic and has played for several notable luminaries including; Oprah Winfrey, Jacqueline Kennedy Onassis, Rose Kennedy, and the late Nelson Mandela.